A rider can find the locations of available bikes by GPS. The orange Spin bicycle has become a familiar sight on the Furman campus. The experimental dockless bike sharing system allows riders to pick up and leave the bikes anywhere they like after using them at a reasonable price. 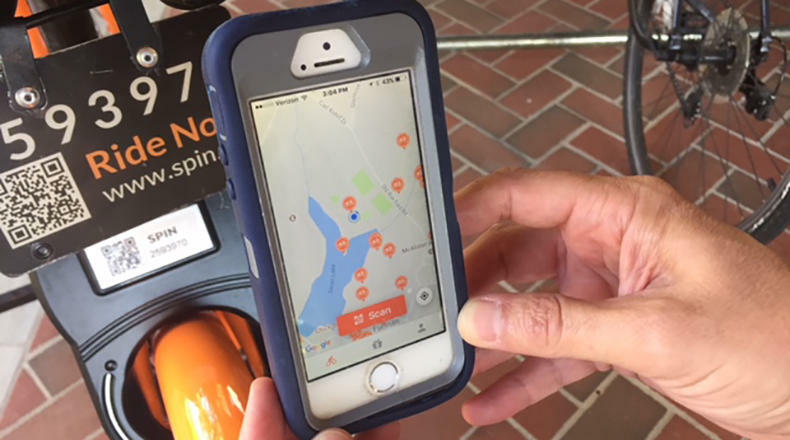 With dockless sharing, the student, after once downloading the app on his/her cell phone, can find an unused bike parked anywhere on campus, scan the QR code which unlocks the bike, hop on and ride anywhere he wishes, and when he’s through, simply hits “end trip” on the app and leaves the bike for someone else to use, with the nominal fee – 50 cents per half hour – charged to his credit card. 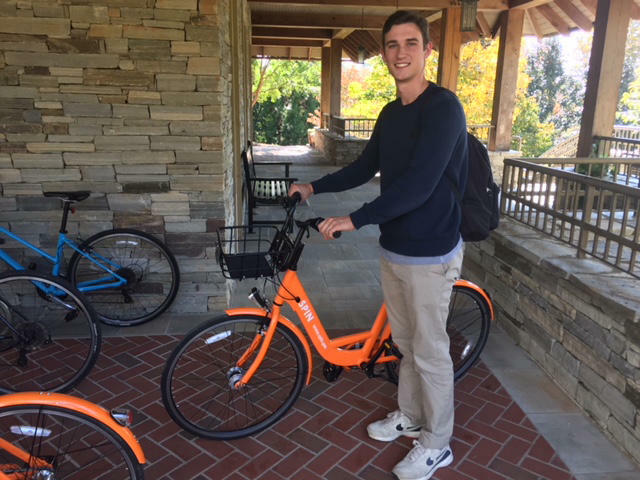 Student Jackson Ferrell loves the system, as it allows him to zip around campus without looking for a parking place for his car, saving time and money. The system was introduced in Seattle, and Furman is the first college campus to use the bikes, which are tracked by GPS. Dripps says the system is spreading quickly, and if it continues its initial success at Furman, could spread to other cities soon, including some in the Palmetto State.